"Library Fund - Great Falls, Montana - March 10, 1923." 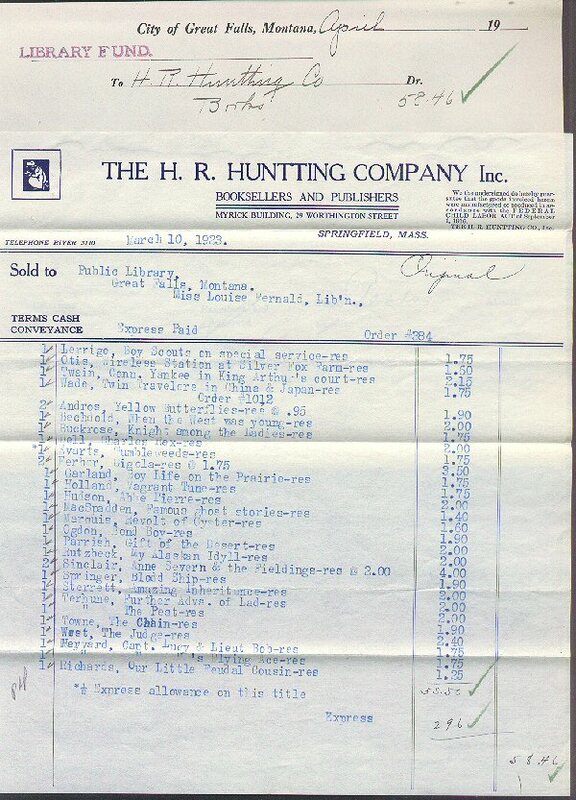 (1722) Library Fund - Great Falls, Montana - March 10, 1923. - Condition: Very Good This wonderful Municipal Bond was designated for Great Falls Library Fund. The Claimant was H.R. Huntting Company (Booksellers and Publishers). There is an attached list of the books that were purchased for the library and their prices. Document measures 8" by 12" (unfolded). Price: $10.00 + Shipping.